The weekend of April 6-7, 2019 was an eventful one at St. Paul’s Church in Crownsville, Maryland. 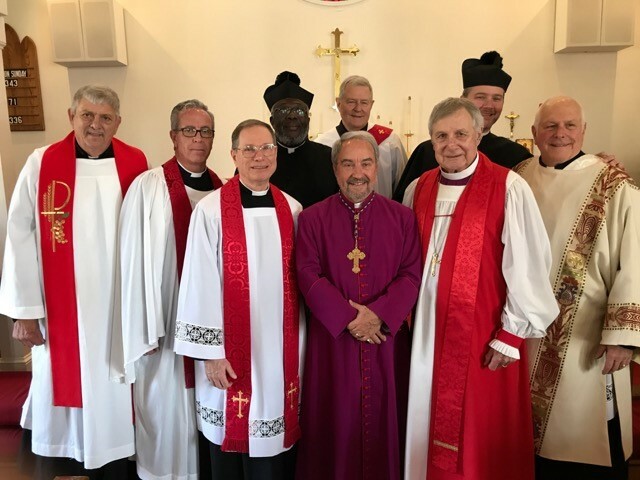 The Most Reverend Walter Grundorf, DD, Bishop of the Eastern United States, Presiding Bishop, ordained Mr. Dennis Ryan to the Sacred Order of Deacons on Saturday, April 6th. The Rev. William Martin, rector of St. Michael & All Angels Church, Arden, North Carolina, presented Mr. Ryan to Bishop Grundorf for ordination. Bishop Grundorf presided and celebrated and the Rev. Tom Burr, rector of St. Paul’s Church, preached at the ordination. The Rt. Rev. Robert Loiselle, rector emeritus of St. Paul’s assisted at the service. Music for the occasion was provided by the St. Paul’s choir, accompanied by organist and choir director Mrs. Andrea Linnell. A reception was held immediately following the service in the parish hall, in honor of Father Ryan and his family. The Rev. Mr. Ryan will as deacon at St. Paul’s, as he continues his preparation for ordination to the priesthood. 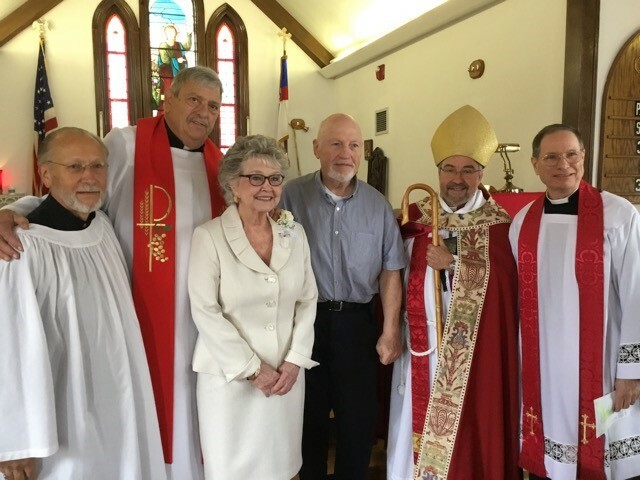 On the following day, Passion Sunday, Bishop Grundorf confirmed Brenda Jones and Kenneth Sabel at the 8:00 a.m. Holy Communion and Heather and Michael Davis at the 11:00 a.m. Holy Communion. He celebrated and preached at both of those services, as well as at Morning Prayer at 9:15 a.m. Coffee and fellowship hours were held after each service to honor our confirmands and to welcome Bishop and Dr. Mary Grundorf to St. Paul’s.